Moyle Interconnector Limited (Moyle) is regulated under its licence to participate in transmission, issued under the energy legislation of Northern Ireland and its interconnector licence, issued under the energy legislation of Great Britain. 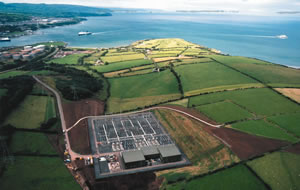 The trading capacity of the interconnector is made available for third party access to allow trading of electricity between the markets on the island of Ireland and Great Britain. Moyle makes that capacity available to the market in accordance with access rules which are subject to the approval of the Northern Ireland Authority for Utility Regulation (NIAUR). SONI Limited, the system operator for Northern Ireland, acts as Moyle’s agent (the “Interconnector Administrator”) in implementing these access rules. Moyle offers its available capacity to the market via auctions over a number of timescales including annual, seasonal, quarterly, monthly, daily and intraday. Capacity is sold under the terms of the access rules in force from time to time. Explicit auctions allow market participants to purchase the right to use capacity on the interconnector from between one year and one day ahead of delivery. Capacity is purchased for a particular direction (i.e. GB-NI or NI-GB) via auctions held on a web-hosted platform – The Auction Management Platform (“AMP”). Auction participants submit bids in £/MWh for the number of MW they wish to acquire and successful bidders pay the auction clearing price. An annual auction timetable is published in advance of each calendar year on our website. Implicit auctions allow market participants to indirectly purchase interconnector capacity which is linked to successful intraday energy market bids in the SEM. Any interconnector capacity that is unused after the first SEM run (“Ex-Ante 1”) is made available to the market via the intraday market runs (“SEM Ex-Ante 2” and “Within-Day 1”). Interconnector users may submit half hourly bids to trade electricity across Moyle in these runs to the SEM operator. If these bids are “in merit” and interconnector capacity is available, this will be implicitly allocated to the successful bids. If you are interested on trading on Moyle and would like more information please contact info@mutual-energy.com. When fully operational the transfer capacity of the Moyle Interconnector for the trading of electricity between the electricity markets of Ireland and Great Britain is set out in the table below. The detailed methodology for calculating the transfer capacity can be found here. This capacity is offered in tranches across the various timescales/products that Moyle offers.